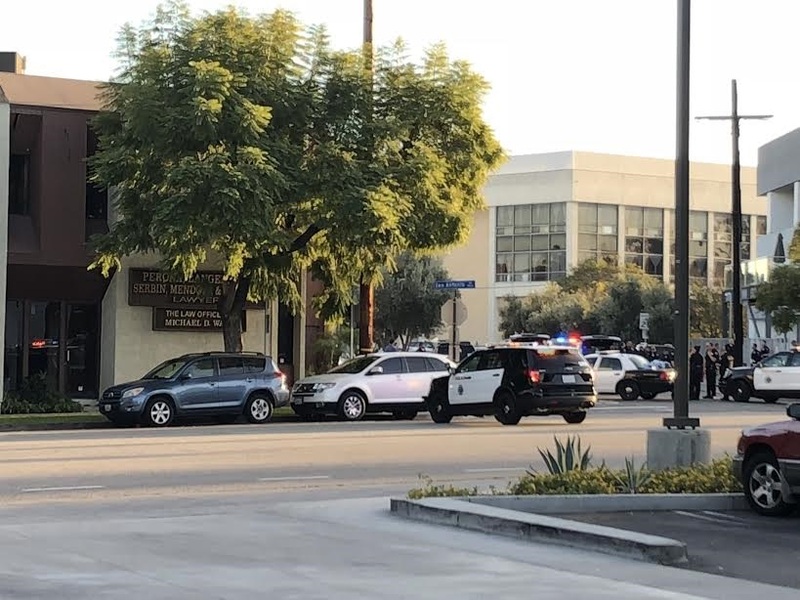 UPDATE | Authorities have identified the gunman and one of his victims he killed before turning the weapon on himself at a law office in Long Beach last Friday. The suspect was John Alexander Mendoza, 58, of Redondo Beach. Police said he shot two men before shooting himself. A gun was recovered at the scene. Rolling Hills resident Major Langer, 75, was struck in the torso and died at the scene. A second victim, identified by his employer as Ronald Beck, was struck in the torso and lower body. Authorities said he was transported to a local hospital by a third party before police arrived. Beck is 64, according to police. He is expected to survive. The shooting happened friday afternoon in the 300 block of East San Antonio Drive. When police arrived, they formed an emergency action team with assistance from the long beach fire department to search for the suspect. Once inside, the officers found Mendoza and Langer. Several employees were in the office when the shooting happened but no other injuries were reported, according to the Long Beach Police Department. ‘We are shocked and saddened by the tragedy that occurred at the Law Offices of Perona, Langer, Beck, Serbin and Harrison yesterday, leaving one of our partners dead and another injured in a senseless act of workplace violence. 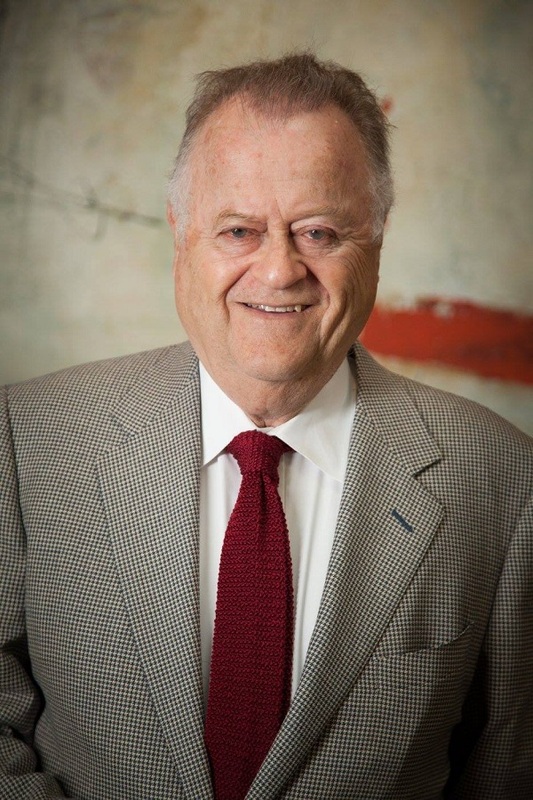 On behalf of our entire firm, we wish to extend our deepest condolences to the family of Major Langer, who was killed in this tragic incident. Above, left photo of victim Major Langer courtesy of the law firm. 12/29/17 at 5:45PM | Two men were killed during a shooting at a law office in Bixby Knolls this afternoon, including the suspected gunman, during what authorities called a workplace violence incident. 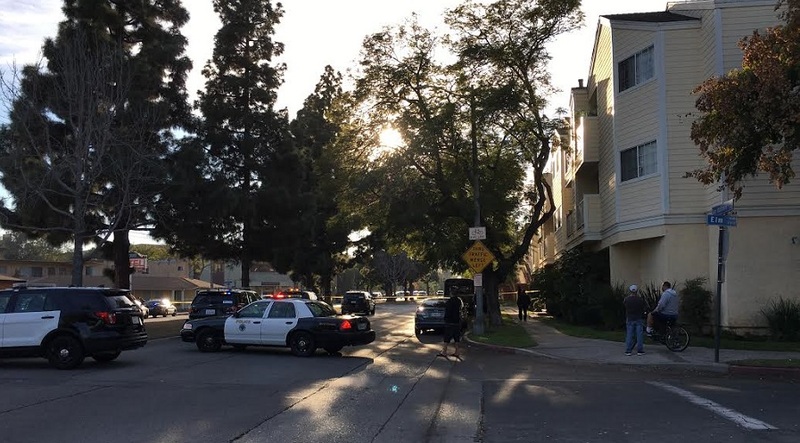 A third man was shot but is expected to survive, said Long Beach Police Department (LBPD) spokesman Sgt. Brad Johnson. The victim transported himself to a local hospital where he is listed in serious condition. Police responded to multiple calls of a shooting at 2:25PM in the 300 block of San Antonio Drive. When officers arrived they found two men dead inside the business, Johnson said. The suspected gunman died from a self-inflicted gunshot. All three men are employees of the law firm, Johnson said. 12/29/17 at 3:33PM | Police have confirmed at least two people, including the gunman, are dead following a shooting at a Bixby Knolls law office earlier today. 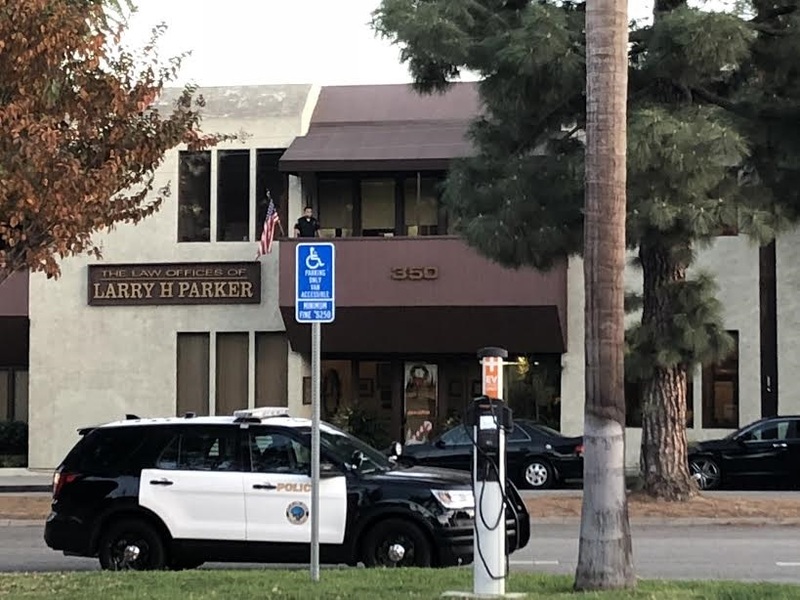 According to police, the shooting occurred at the law offices of Larry H. Parker in the 300 block of East San Antonio Drive in the Bixby Knolls area, where police responded to the active shooter call at 2:25PM. Reports from the scene indicated that at least one other person was injured, and may have driven himself or herself to a hospital. The identities of the deceased are being withheld pending family notification. As of 3:00PM, police said there was no longer an active-shooter threat at the location. Police cordoned off the area and closed streets surrounding the business, where they are conducting a murder investigation. A motive for the shooting is still unknown, though police have referred to it as a “workplace violence incident” on Twitter. 12/29/16 4:12PM | Long Beach police have confirmed at least one person is dead following a shooting at a Bixby Knolls law office earlier today. The incident is now being investigated as a murder. The shooter is also believed to be dead at the scene, according to police. 12/29/16 3:35PM | Police are currently investigating a shooting at a business in Bixby Knolls that left multiple people injured. The number of victims or their conditions are unknown at this time, said Long Beach Police Department (LBPD) spokesman Sgt. Brad Johnson. Police responded to reports of an active shooter at a law office in the 300 block of San Antonio Drive at 2:25PM. By 3:30PM, there was no longer an active-shooter threat at the location, according to police. According to reports from the scene, at least one person is dead and multiple others were injured. The gunman’s condition is unknown at this time.